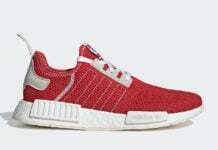 The adidas NMD is here to stay and the next wave of releases will be here sooner then you think. 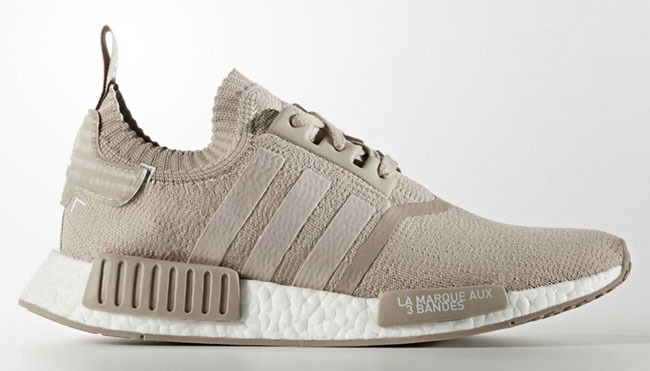 One of the next pairs to release is the adidas NMD R1 Primeknit ‘French Beige’ which will debut during June 2016. 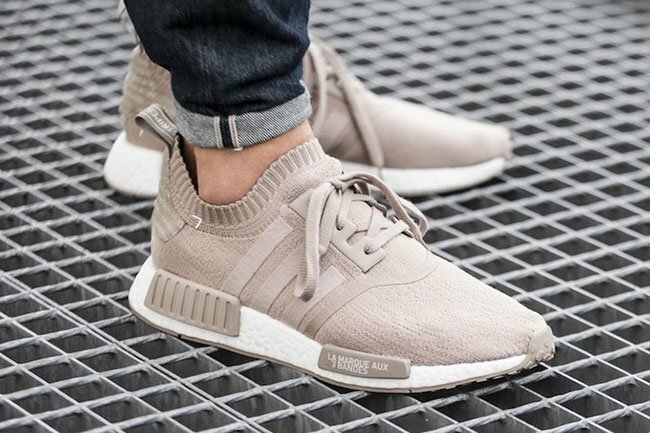 While the name for this release is being called ‘Beige’, most of us know them by the ‘Vapour Grey’ adidas NMD so for those that know about the model, everything is the same. 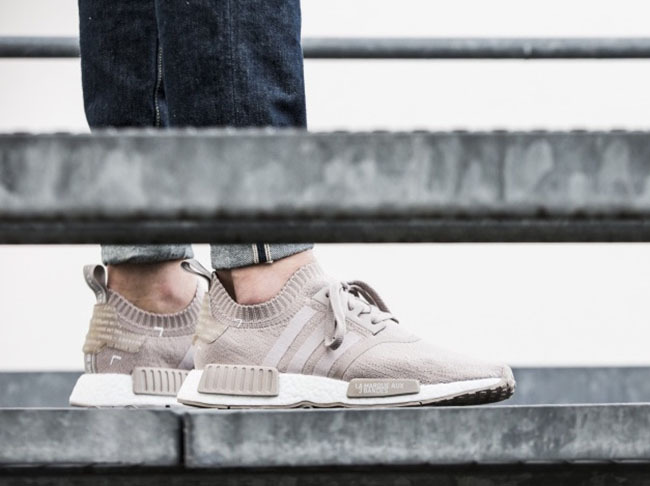 If you don’t, they feature a Beige upper with the use of Primeknit while the Three Stripes on the sides are present. 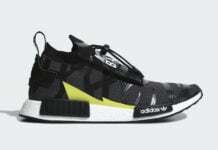 Other highlights include a White Boost midsole and the words ‘La Marque Aux 3 Bandes’ on the pod overlay which is French for ‘The Three Stripes Brand’. 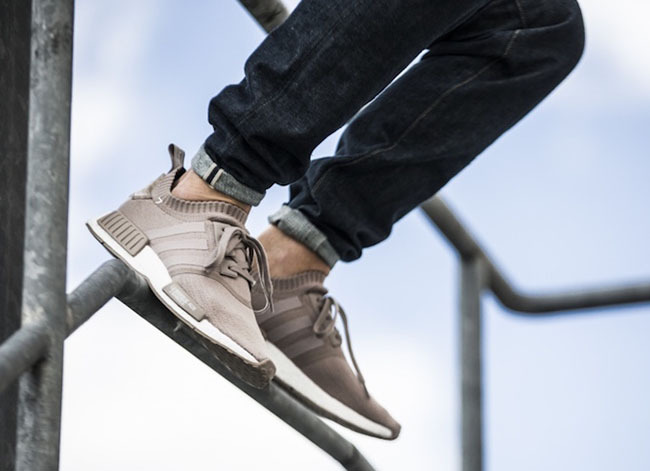 Below are additional photos of the adidas NMD R1 Primeknit French Beige which shows how they look on feet. 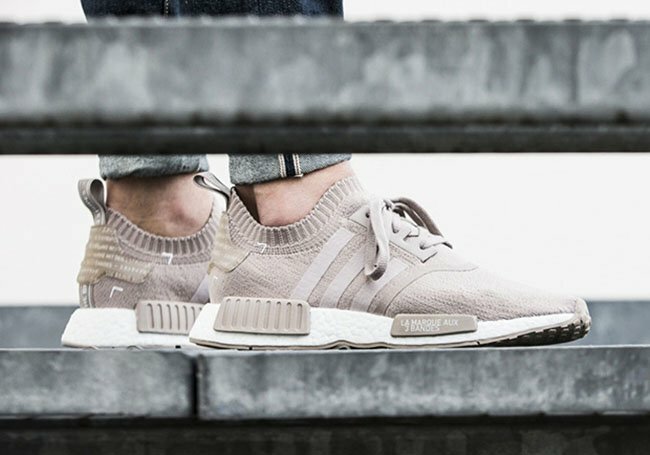 Overseas adidas Originals retailers will launch this pair on June 10th. 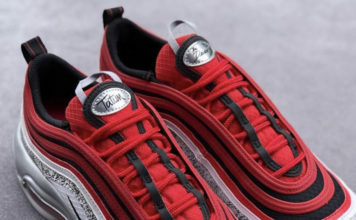 Currently a stateside debut is unknown but once we have new details, we will make sure to update you. 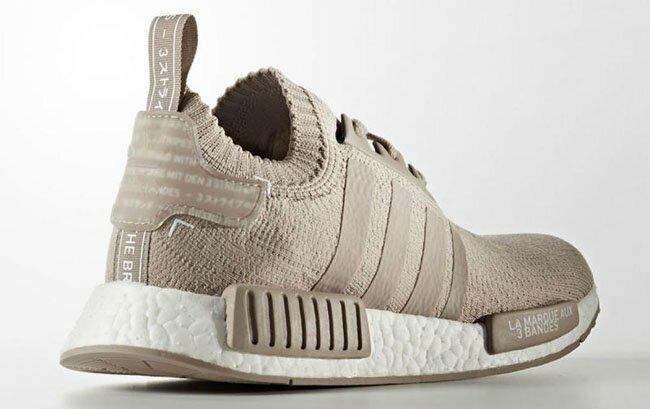 Update: Did you miss out on the ‘French Beige’ adidas NMD R1 Primeknit? 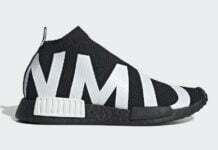 Good news that the shoes will restock this Friday, September 2nd. 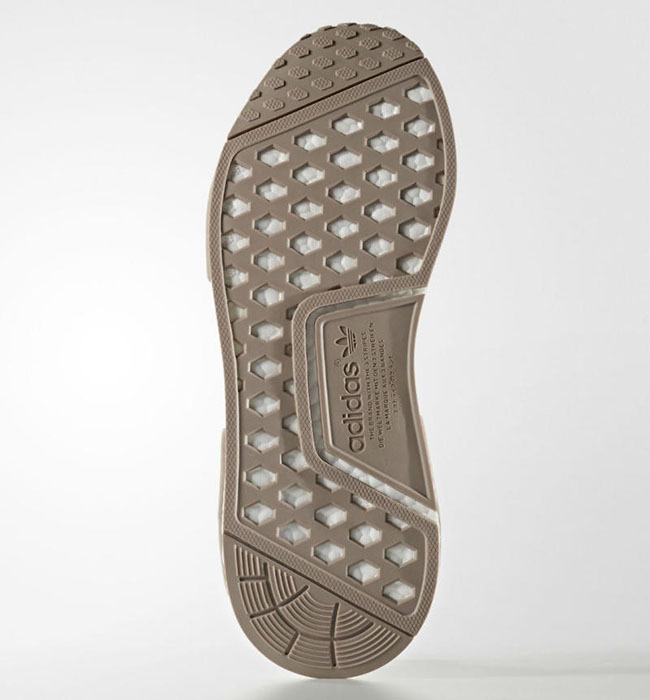 You will be able to grab them at Champs Sports, click here to check out their release locator.